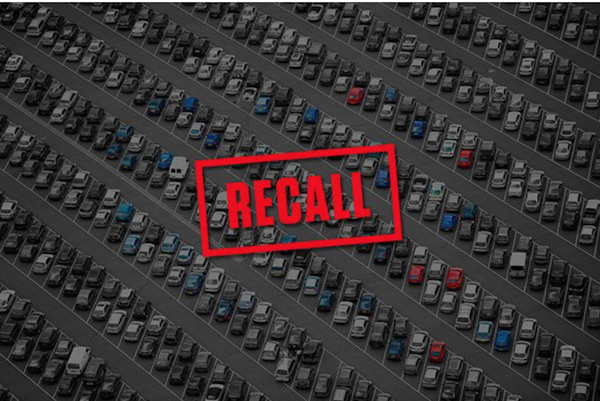 In 2017, people across the country were using 63 million recalled vehicles. That's a lot of vehicles. What's even more alarming is that family-oriented types, like minivans and SUVs, are more likely to have open recalls on the road. In any given year, only about 75% of recalled vehicles actually get fixed, according to the National Highway Traffic Safety Administration (NHTSA), which administers recalls. Owners of the remaining 25% are either unaware of the recalls or, as one recent study suggests, ignore them because fixing the problem would be an inconvenience. But according to the National Safety Commission (NSC), heeding recalls is crucial to minimizing accidents on American streets and highways. "Drivers may not realize how serious safety recalls are," Maureen Vogel, a spokesperson for the NSC, says. "But manufacturers don't issue recalls unless the defect poses a real risk. Even if the problem seems small, it is important to fix recalls when they occur." The NHTSA maintains Federal Motor Vehicle Safety Standards that include performance requirements for all vehicles made in or imported to the United States and driven on public roads. These requirements monitor vehicle parts that are critical to safe operation—like brakes, steering, and lighting—and parts that protect passengers in the event of a crash—like airbags and safety belts. When someone identifies a safety-related defect that will prevent a vehicle from meeting these federal standards, the manufacturing company issues a recall. Vehicle manufacturers usually discover such defects, but occasionally they're identified when many individual car owners report the same problem, prompting the NHTSA to open an investigation. Once the NHTSA decides a recall is in order, the vehicle manufacturer is legally required to inform car owners about it (typically by mail). The manufacturer must also inform owners of how to get the problem corrected and must provide repairs at no cost. How do you know if your car has a recall notice? In addition to the mailing you should receive, the NHTSA keeps a comprehensive, current database of safety-related recalls. A quick online search using your car's VIN number will let you see all related, open recalls and information about repairs. You'll also have the option of getting future recall alerts by email. Automotive service companies are also doing more to help drivers stay up-to-date on recalls. CARFAX, for example, which provides vehicle history reports to buyers of used cars, recently teamed up with GEICO to offer Vehicle Care, a feature on the GEICO Mobile app that provides the latest recall alerts and service-related reminders, powered by myCARFAX. The NHTSA recently launched a pilot program that may eventually allow more car owners to be notified of open recalls when they register cars with their state's Department of Motor Vehicles. Though the program is still in the early stages, it has the potential to reach more drivers before they take their cars on the road. Want another smart way to protect your car? With GEICO auto insurance, you can get a fast, free quote now. And don't forget to download the GEICO mobile app for access to the new Vehicle Care feature. This article was originally published by GEICO.